The question of where and how photos keeps files and data has stalked us for some time. This page is an effort to approach it in a systematic manner. These aren't decided on and may conflict with one another. Should Photos manage how files are organized on the filesystem? Should the images that are presented by Photos be visible as files on the filesystem? How to handle the case where someone has invested time in organizing their photos on the filesystem? 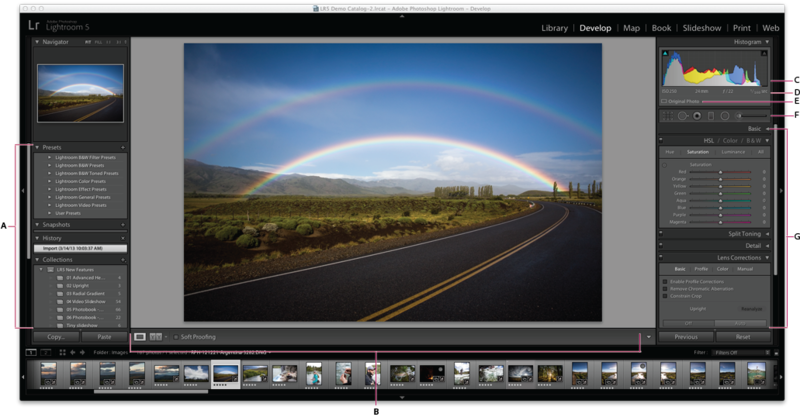 To what extent should Photos interoperate with other photo editors, managers and operating systems? Should it be possible to store files and data so that they are picked up by 3rd party cloud providers (NextCloud, Dropbox, etc)? Picks up images from ~/Pictures. No way to specify another folder to watch. Edits are saved as sidecar files beside the original images. Photos can be organized as albums, but there's no way to save/migrate/export this data. Photos are stored in library files - each one is a single file that contains a set of images and metadata. The default library is located in the Pictures folder in the home directory. It is possible to disable this behavior, so that photos can be viewed and organized on the filesystem. This has some side-effects. A library is set as the system library. This is where photos from iCloud are synced. Opening a library file from Finder. Changing the default library from the settings. 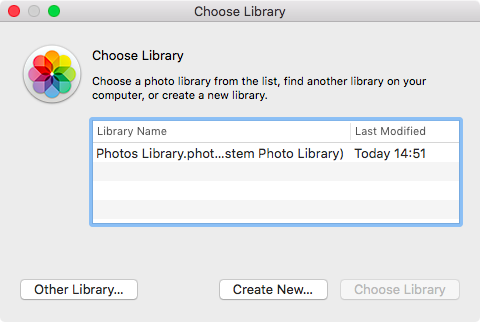 Holding the option key when launching Photos, which shows a choose library dialog. Collection is a chronological view of the content from the OneDrive Pictures folder (there's a setting to show photos from all locations instead). It can optionally highlight the most recently imported batch of photos, and auto-generated tags. 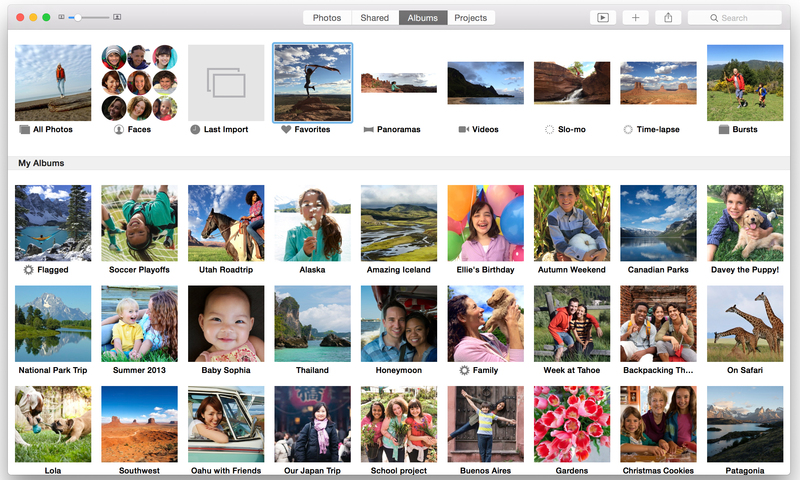 Folders allows browsing photos on the filesystem. It shows directories and OneDrive accounts that have been added as "sources", either through the settings or by importing them; and highlights the most recently imported batch of photos. Importing a local folder adds the directory to the list of sources. Importing from a device - the dialog shows the destination directory; it also allows changing the destination location (selecting a destination which isn't a source adds it as one). Import also has an option to delete the originals. When editing there are options to save or save a copy - so it's quite transparent as far as the file system is concerned. Files are manually imported. Imported files remain in their original locations on the filesystem. Imported files can be organized using collections and exported. Metadata about files is stored in catalogs - these are database files. You can have multiple catalogs and have to specify a location for each one. It's possible to export a subset of the current catalog as a new one. It sounds like catalogs can be a bit fragile, since they are largely composed of links to files across the filesystem. Edits can be stored as sidecar files, although this is off by default. Imported files can be organized as collections. Edits are stored as sidecar files by default. Local content under the top-level source directory can be optionally auto-detected, or only manually added. The top-level source directory defaults to ~/Pictures. Opting for auto-detection with 56G worth of JPEG and RAW images on an Intel i7 with SSD froze Shotwell 0.26.4 for close to an hour. Folders that were added as sources can be browsed through the sidebar. Importing a local directory adds the directory to the list of sources in the sidebar. Importing from a device copies the content to a sub-directory under the top-level source directory. The format of the sub-directory defaults to hierarchical year/month/day structure. Used to support importing the image library from F-Spot. F-Spot's demise has led to this code being retired recently. Uses timestamps to group photos into events. Events can be merged together. Doesn't support albums per se. Edits are stored inside a SQLite database in ~/.local/share/shotwell/data/photo.db. No support for sidecar files. Can detect renamed or moved files, as long as they stay within the top-level source and their content, hence the checksum, hasn't changed.